Dr. Keblish is a Board Certified Orthopaedic Surgeon who specializes in Foot & Ankle surgery and holds a subspecialty certificate in Sports Medicine. He has a focused interest in sports injuries of the lower extremity, arthroscopic surgery and minimally invasive techniques, complex ligament reconstructions, patient education and injury prevention. He is a graduate of Yale University where he played lacrosse and rugby. He completed his medical degree at the University of Pennsylvania on a Navy Scholarship and did his orthopaedic residency at the Bethesda Naval Hospital, now renamed the Walter Reed National Military Medical Center. Dr. Keblish received his Fellowship training in Foot & Ankle surgery at Harvard University. He completed his subspecialty certificate in Sports Medicine while serving as department head for Orthopaedic Surgery, Sports Medicine and Rehabilitation at the Naval Academy. He was an appointed Orthopaedic Consultant to the White House Medical Unit in Washington, DC. As an assistant professor of surgery at the Uniformed Services University of the Health Sciences, Dr. Keblish demonstrated his commitment to medical education at all levels. At the Naval Academy he supervised medical students, interns, orthopaedic residents and primary care sports medicine fellows, and also created a popular series of injury prevention videos for the Pentagon Channel's Fit for Duty show that can still be seen today. Dr. Keblish was named the Navy's #1 Top Orthopedic Surgeon and he received Military Medicine's "Most Outstanding Faculty Award" for all graduate medical education programs in the National Capital Area. He remains active in teaching arthroscopic surgical skills to residents from all across the country at the AAOS cadaver lab in Chicago. For more than a decade Dr. Keblish has served as the team physician for many of Navy’s varsity teams, including Men's and Women's Lacrosse, Track & Field as well as Sprint Football. He has extensive experience covering NCAA division 1 intercollegiate sporting events and caring for elite athletes at every level. He has deployed with the Marines to both the Horn of Africa and to Helmand province Afghanistan in support of Operation Enduring Freedom. In Afghanistan he served as the officer in charge for a Shock Trauma Platoon- Forward Resuscitative Surgical System at a forward operating base where he led a military medical unit in caring for severely wounded US troops and coalition forces injured in battle. 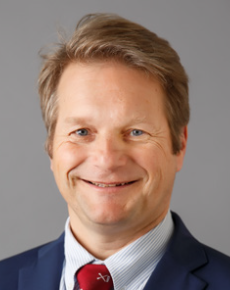 Dr. Keblish is Board Certified by the American Board of Orthopaedic Surgeons (ABOS) and he is a Fellow in the American Academy of Orthopaedic Surgeons (AAOS) as well as the American Orthopaedic Foot and Ankle Society (AOFAS) and the American Orthopaedic Society for Sports Medicine (AOSSM). Dr. Keblish has been invited to speak at many national meetings and has contributed to the Orthopaedic literature in numerous journals including the Journal of Bone and Joint Surgery, the American Journal of Sports Medicine, Foot & Ankle International and Operative Techniques in Sports Medicine. In his free time he enjoys watching his boys play lacrosse and walking his dogs with his wife. He loves history and feels very fortunate to live near Annapolis. Dr. Keblish has served his nation and is ready to serve you. If you have a sports injury or foot condition that is preventing you from enjoying an active lifestyle come see him. He is passionate about injury prevention, restoring proper biomechanics and life-balance and regards surgery as a last resort. He is an excellent educator and will help you make the decision that is right for you.